A man runs at the edge of the crowd, a camera on his shoulder, filming, does not stop the running woman. The procession ripples across shop windows and puddles from the earlier rain. Then she falls, arms and legs and flames, and the men and women and kids crowd around her, with their heads bowed, their arms across their faces against the smell of burning hair, burning flesh. The scarf melts into the young woman’s face. The people roll her on the ground, with some sense of what to do. What to do if a woman comes running through the market on a Friday afternoon in the middle of England with her head on fire. “You must be forty-five years old, Cairo. I don’t think I have ever heard anything like this in my life,” Jamie said to him. “Thirty-eight. I’m thirty-eight,” he said to Jamie. heard a baby cry out, and perhaps it was Zach, and Stacey-Ann comforted him in the time it took Cairo to wake, silence in the house when he sat up and listened, and perhaps it was that other baby calling out from somewhere else. “Just come and have a look. 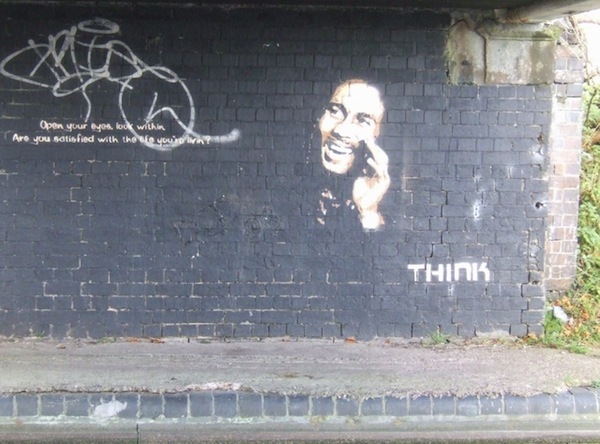 See what yer think,” he said. “How’s yer ode mon?” Jamie’s voice softened. And that’s how they’d left it, had exchanged texts. Before Cairo smashed up his phone, that is. Jamie will come, Cairo knows it. It is this thought now that gets him up the hill, early mornings, late nights if he can, depending on work and his aching bones. From the kitchen window he watches the fox go over the back fence with a scrabble of claws in the grey light. Maybe he didn’t hear a baby but instead the fox in the night. There are no ghosts, he tells himself, doubts this even as he thinks it. Cairo pulls back the net curtain, lets his finger pattern the condensation. He drinks slowly from his water bottle, the taste of old gyms somewhere in it. Blood in water. There is a whole history of men who got beaten up, knocked senseless, in order to pay the rent, put food on the table, one of the many histories buried in the hill. He tells himself he is part of a proud Dudley tradition. A face looms from the dark and then is gone, his face, it was his face. But how could that be? There are voices that come through the permanent night, soothing and calm, though she doesn’t know what they say. She lies, suspended, is not sure where her body might be, nor the body that grows inside her own, swimming in the dark, no sense of the shore, no sense of the surface, but it is calm and there is no pain. She drifts, thinks of tiny creatures fixed in amber for thousands of years. Grace swims in the morning, when she should’ve been packing her bags, in the arboreal light of the Ladies’ Pond. She loves the word arboreal, loves this place, and turns to watch the clouds through the trees, moves into a cool, dark channel in shadow, near the bank, then out again into sunlight. She has one bag packed, of course, but no passport or papers inside it. No euros or forints or dinar wrapped carefully in envelopes. She remembers she must show Zara where these are, in the small safe in the corner of the studio, and that she must give her the codes. She will not return there after this morning. She wants a clean break. Zara and the crew will be flying to Budapest, then onwards in jeeps from there, towards the border, always this crossing of borders, real or imagined. The idea is to return to the towns and villages they’d filmed before, in their first film, the one that won the award and has kept them in work these last few years, villages in corners of the Balkans. They told a story of how people left and how new people came, recorded daily life going about its business, women making burek filmed through open windows, old men herding goats, timeless but fractured somehow. Sometimes they got people to talk: “We came here when we had to leave our old homes.” They told stories of movement and place and great violence. That she, Grace, found the pictures so beautiful, the stillness of the images, the depth of the colours, the incongruity of what the words described when anyone spoke, and that other people felt the same, appals her now, makes her feel ashamed. This is not a feeling she has ever considered before: shame. Like something from a distant century, a forgotten civilization, something talked about in films of faraway places. The sun makes a path of light across the surface of the pond. Grace suddenly sees herself again as a girl at the end of the lane near her grandparents’ house, where she’d go after school to drink cocoa or cordial. Cocoa and cordial: two things and words of which her grandmother was fond. Her grandmother who also had swum here in the pond. And as a young woman she had swum in the Thames, of course, called it the Isis, as Grace had, and her mother had too. And as a young girl her grandmother swam in the Shannon, daughter of Empire. They have a tea set in the attic at home, come all the way from India in a trunk, the tiniest spidery cracks in the china. But first Grace has to finish her current project, one way or the other, will go back today, last images, not to the middle of Europe but to the middle of England. And then she’ll see. 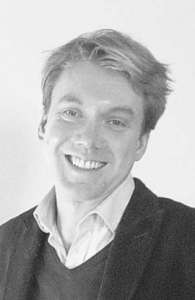 Anthony Cartwright was born in Dudley in 1973. He is the author of four previous novels, most recently Iron Towns (Serpent’s Tail, 2016). His first three novels were shortlisted for various literary awards. 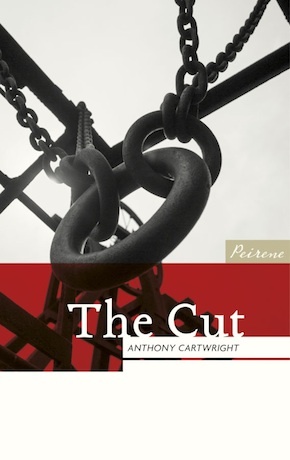 The Cut is out now in paperback from Peirene Press.